Needing chimney sweeping? Having a functioning chimney is crucial to having a healthy house, but it’s more than function. A chimney regardless of whether or not you use your fireplace needs to be cared for or otherwise, you could be looking at some serious damages down the road. As a homeowner, you know that serious damage equates to expensive repairs, so do yourself a favor and know the first signs of chimney neglect. Like all other parts of your home, your chimney requires cleaning and upkeep. Ideally, a professional should sweep your chimneys twice per year, more if you utilize your fireplace often but sometimes, chimney care can be forgotten in the busyness of daily life. Looking for the signs of chimney neglect can stop deadly damage, like a chimney fire or carbon monoxide leaking into your home. 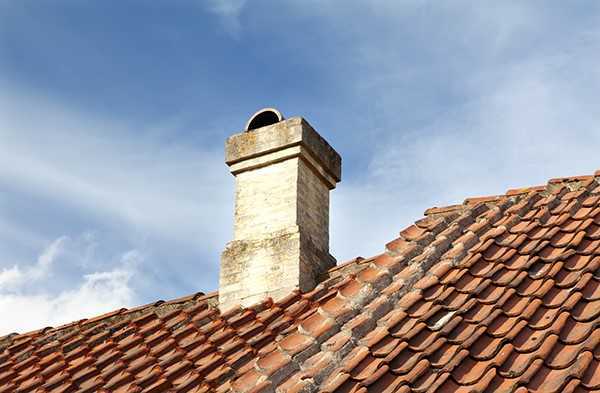 Many homeowners don’t know what to look for if their chimney is in need of repairs. There shouldn’t be rust on your firebox or damper, and if there is a presence of tinged orange rust in your fireplace, you are beginning to see a sign of chimney neglect. Rust forms when there’s a lingering of excess moisture, and moisture can wreak havoc on structures, your chimney is no exception. Rust can cause failure of proper functioning for the damper. If there’s enough moisture in your chimney to form rust, you might also be concerned of cracked flue tiles which could lead to the possibility of a chimney fire. You can spot rust on any chimney accessories such as the fireplace screen or anything else nearby. If you see any sign of rust, look further into the fireplace to check if the rust is present on the damper or anywhere else. A chimney inspection performed by a professional chimney sweep will be able to identify any interior damage from moisture. Professional chimney sweeps have the ability to use specialized cameras to detect the condition of the chimney’s interior (Read all about the chimney sweep tools). The condition of the mortar joints in the masonry is essential to upkeep for the health of your chimney. When mortar joints crack and fall apart, the masonry is exposed. Moisture can seep in and begin to deteriorate the chimney’s structure. In freezing weather, deteriorating mortar joints become an increasingly worrisome problem. Moisture will then freeze in the cracks of the masonry, and during temperature swings and the approaching thawing season, the existing moisture can cause deeper cracks and breaks, worsening the structural integrity. If the damaged mortar joints aren’t repaired, there is a risk of the entire chimney collapsing. Deteriorating mortar joints in your chimney’s masonry is a sign of neglect you’ll want to keep an eye out for. You can hire a professional chimney sweep for repair if you aren’t handy yourself. Replacing mortar joints is called re-pointing, and not only will your chimney look much better, but the project will make the chimney last much longer. If you have wallpaper surrounding your fireplace, check to see if it is stained or damaged in any way. Examining the wallpaper around your chimney is an easy way to see if there’s moisture that is causing damage. An excessive presence of water can ruin a chimney. The same idea goes if you have painted walls or plain wood surrounding your fireplace. Keep a watchful eye on this wall and check to see if the paint is bubbling, chipping, or if the wood is starting to feel rotten. This is a clear sign of neglect and the presence of moisture. Spalling masonry occurs on the chimney’s exterior. Here, moisture is again the culprit that causes this sign of neglect. You’ll be able to detect spalling masonry by examining the outside base of the chimney. Moisture has an easier time entering through cracks on the outside of the chimney because of the outside elements, and during freezes and extended exposure to moisture, the cracks worsen and deteriorate the masonry from the outside. If you spot damaged stone or brick, cracks, or crumbling pieces at the chimney’s exterior base, then it’s time to look into hiring a professional for repairs. It’s best to catch this sign early on so you won’t have the expense of having to replace major parts of the chimney, if not the entire structure. Your chimney crown is what protects the interior of your chimney and its functionality from the outside elements. The chimney crown should be sealed properly against the top the chimney. A trip up to your roof is necessary to check the condition of the chimney crown for signs of neglect. Damage to the crown can mean moisture has easier access to the chimney’s interior, and when that occurs, there can be immense damage to the structure and flue lining. A chimney that’s unprotected against moisture will not operate correctly, and the result could be a hazardous chimney fire. A sign of chimney neglect is thin slices of chimney tile that you begin to notice collecting in your fireplace. These pieces of tile are likely from a damaged flue lining. In many instances, the flue lining could be chipped or cracked and you won’t notice because of the lack of remnant pieces that fall. When you can’t identify fallen shaling in your chimney, you could be unaware of the potential damage of the flue liner. Chimney inspections, again, are essential because a professional sweep will be able to detect hidden signs of neglect. There are numerous methods to ensure a happy and healthy chimney. The most important one among them is to have your chimney sweep and/or inspection. 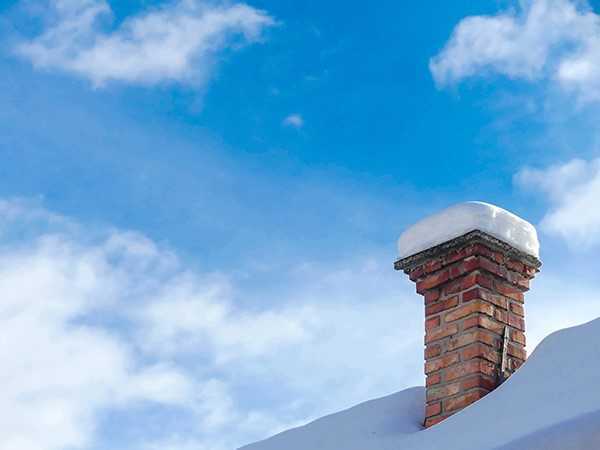 The Chimney Safety Institute of America advises homeowners to have their chimneys inspected when the sooty debris on the walls reach 1/8 of an inch. Only a professional chimney sweep will be able to detect and identify concerns, damages, and issues within your chimney that are not visible to your eyes. Chimney sweeps conduct a thorough investigation of chimneys and know what to look for in terms of damage and potential threats. Ask your chimney sweep about installing a chimney cap if your chimney doesn’t already have one. Chimney caps, sometimes called rain covers, are an inexpensive and effective way to keep moisture out of the chimney. They’re an integral part of keeping your chimney healthy and working without any issues. Chimney caps can also prevent animals and creatures from making nests, burrowing, and entering through your chimney. Consider replacing the flashing, which is the seal between your chimney and the roof. Flashing material is the expansion joint that allows the chimney and roof to expand and contract at their own rates without breaking the seal. Flashing stops moisture from seeping in, either from rain or from melting snow. There’s also the option of waterproofing your chimney. Today, numerous products have been developed with formulas containing permeable vapors, which allows for the chimney to breathe, quickly ridding the chimney of unwanted moisture. Many of these products are available with warranties. Keep in mind that if you have cracks in the masonry, this should be repaired first before attempting to waterproof the chimney, or you could put the masonry at risk for developing bigger cracks. Early Times has been serving the Chicagoland area for over 30 years. From chimney cleaning to repair, we’ve got you covered for all your chimney sweeping needs. Our professional chimney experts will walk you through the process and answer all your questions and concerns. Click here to get a free quote.